This is the story of Johnny Tromp from Namibia who is traveling the world since 13 years working on private luxury yachts and lost his POGO Citycruiser in the dark depths of a spanish harbour. 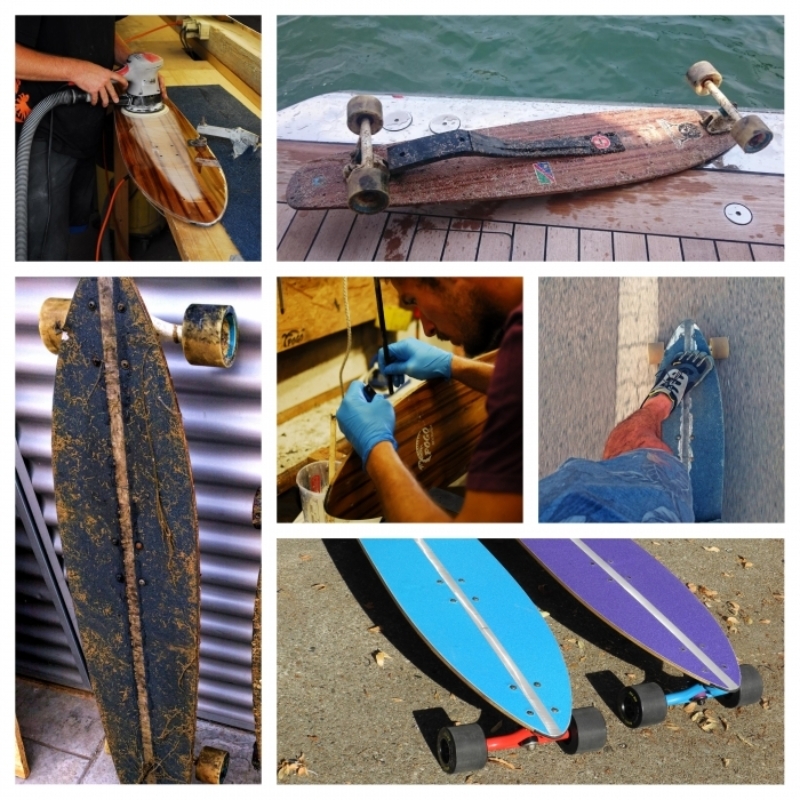 To be exact he made the mistake of letting a drunk girl try to ride his beloved board while they anchored in the harbour of Vilanova, Spain. Very soon it was plain clear, that the girl couldn't skate like she told and that the board was lost in the deep, dark and dirty water. The POGO Longboard was Johnny's favourite board and a true companion for many years on all his trips around the world. Now it was lost to the sea and on top the girl was not willing to compensate the loss of the board with an according sum and he told her to go where the sun dares to shine. Looking forward to get such a companion again, he contacted POGO and told his dramatic story and bought the same Citycruiser once more. To everyone's surprise two months later his old board was saved by divers from the ground of the harbour and handed back to Johnny. He couldn't believe his eyes and of course the board was dirty, rusty and full of traces from aquatic life, but he was eager to bring it back to life. After properly cleaning it, he sent it straight to the POGO workshop to get a proper inspection. To this point no one knew about the possible damages of such a treatment. Soon it was clear that the POGO quality standards had once more been proven as no real harm was caused to the board and it's construction. Our workshop crew treated the board with some minor repairs and a new varnish and than Johnny had his beloved board back in full effect. Thanks to our lifetime repair service this didnt' cost him much and we wish him many years of rolling fun around the world to come. Just always be careful with those drunk girls please.